Bill Mills from Reading, Mass., submitted several photos of the DCI Honor Corps captured in 2005. I have followed drum corps since the 1950s when I was a snare drummer with the Immaculate Conception Queensmen in Winchester, Mass. 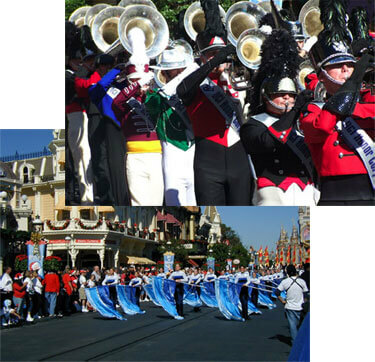 Last year, I followed Drum Corps International to Disney World to see the DCI Honor Corps perform during Disney's Christmas Day Parade taping.